Elta Lite therapeutic moisturizing lotion glides on easily hydrating skin to provide eight hours or more protection against dryness. 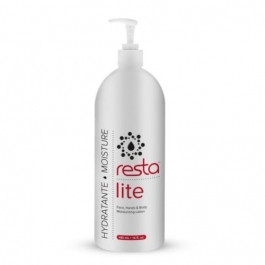 It revitalizes skin, helping to retain natural moisture for smooth, supple texture. Use daily on face, hands and body. Safe for sensitive skin, non-comedogenic, fragrance free. Works well for people with dry skin problems, such as those with diabetes. Active Ingredients: Elta (Petrolatum; Paraffin; Mineral Oil); Purified Water; Diethanolamine Cetylphosphate; Stearic Acid; Dimethicone; Triethanolamine; Glyceryl Stearate; Carbopol; Methylparaben; Disodium EDTA; Propylparaben. Please see product insert fro additional information, instructions and warnings.